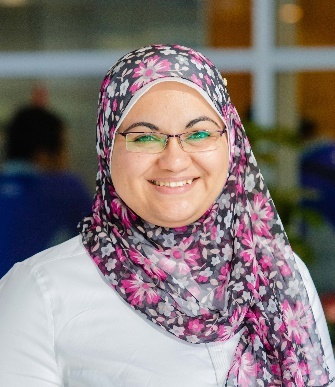 Marwa submitted her PhD from the Institute for Molecular Bioscience (IMB), University of Queensland (UQ), 2018. She is a diagnostic microbiologist with experience in materials science and its diagnostic applications in nanomedicine. During her PhD, she developed different culture-independent diagnostic platforms to advance the current field and allow rapid detection of bacterial sepsis. She also developed a simple diagnostic assay for the detection of TB, during her Master's degree. Marwa worked on a diverse range of molecular biology techniques and was a senior researcher on a funded grant, before starting her PhD. She is interested in bacterial pathogenesis, single-cell approaches, persistence, quorum sensing, phages, biofilms as well as advancing current detection approaches. She is also interested in science communication, teaching and currently an ASM communications ambassador (Twitter: @marwa_hassan1). Marwa is currently a demonstrator at UQ, awaiting her PhD conferral while looking for opportunities. She also have a Master in Science, major in Biotechnology, and a Bachelor of Pharmaceutical Sciences. Email: marwa.hussainali@uqconnect.edu.au.